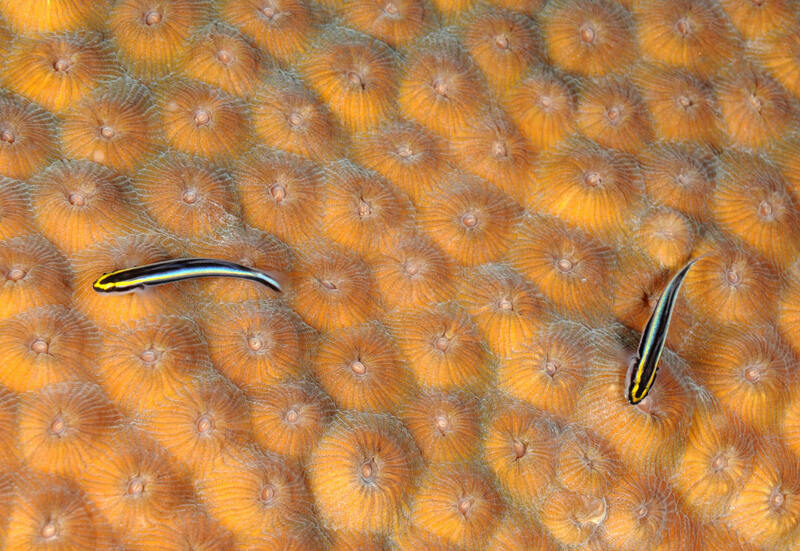 The Sharknose Goby, Gobiosoma evelynae Bohlke & Robins 1968. Tropical West Atlantic; Bahamas to Venezuela. To about two inches in length. Variable in color, but yellow-V-shaped mark on nose and bluish stripe sandwiched between black. Bonaire 8/09. Gorgonia ventilana, the Common Sea Fan. 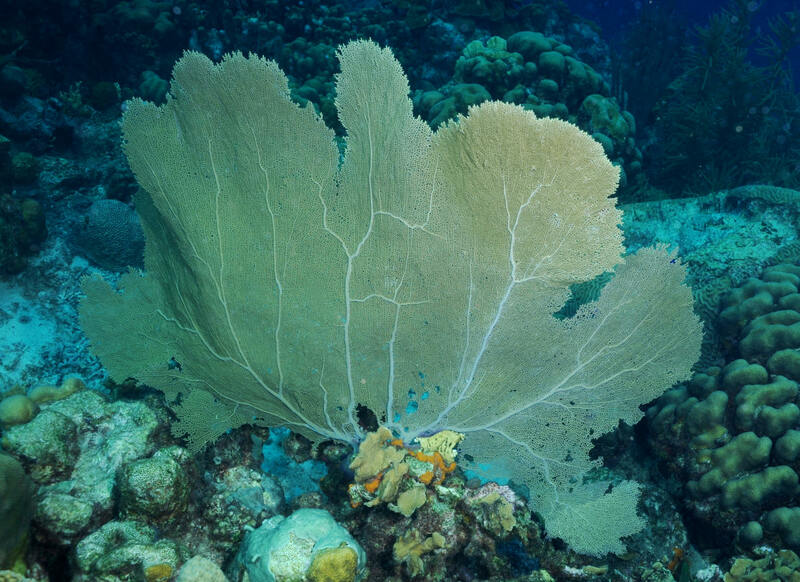 Similar to the Venus Sea Fan, but with branches that are flattened in profile, not roundish. Bonaire 8/09. There are but a couple of Grammatids that are highly prized in the aquarium hobby. 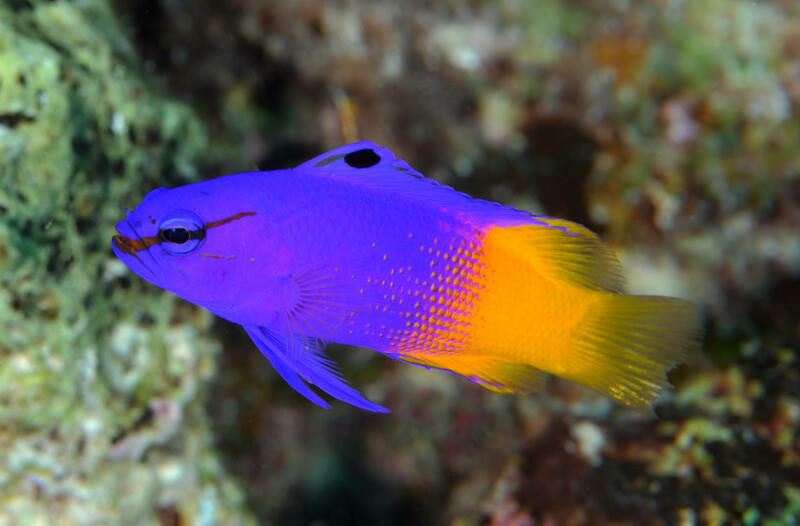 Gramma loreto, the Royal Gramma is the Basslet or Gramma to many. Colorwise it's front half varies from purple to violet, with the back half a bright yellow. Bonaire 8/09.